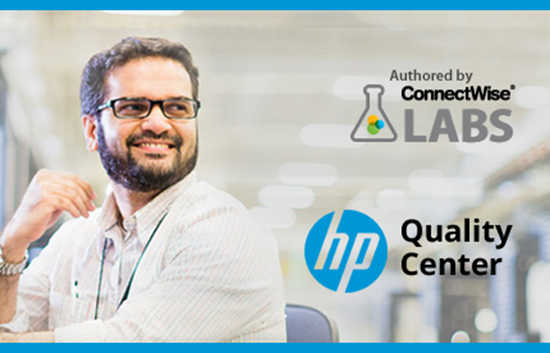 The Quality Center integration tool, authored by ConnectWise Manage Labs*, allows the HP Quality Center application to communicate directly with ConnectWise Manage. With this integration, you'll have the ability to manage all of your defects in one place. The connector allows for the exchange of notes and documents, as well as the ability to specify Status flows for the Development/QA process. When you create an incident in Quality Center, a new Service Ticket will be created in ConnectWise Manage with the Status and Service Board of your choice. The incident in Quality Center will continue to undergo a series of custom Status Flows that you will specify updating the incident’s status. *ConnectWise Manage Labs is a program that empowers innovation within the ConnectWise Manage Development team. ConnectWise Manage Labs are free to use, but are not official ConnectWise Manage development products, meaning they’re not supported by the ConnectWise Manage support or development team. For help on ConnectWise Manage Labs, please utilize the dedicated discussion forum in the ConnectWise Manage Discussion Forums. Here’s to building!